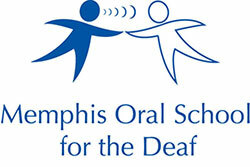 Memphis Oral School for the Deaf : News & Events : Blog Entries : Love was in the air on Valentines Day! Love was in the air on Valentines Day! On February 14th, the students at MOSD were treated to a fun filled Valentines afternoon party. The ladies of Subsidium really showed the kids some love with lots of games, treats, prizes and even a photo booth!